If you are a regular reader of my blog you will know that I have a slight weakness when it comes on to nail polishes and so I recently acquired some new additions to my collection from a relatively new cosmetic line called Makeup Cherimoya. 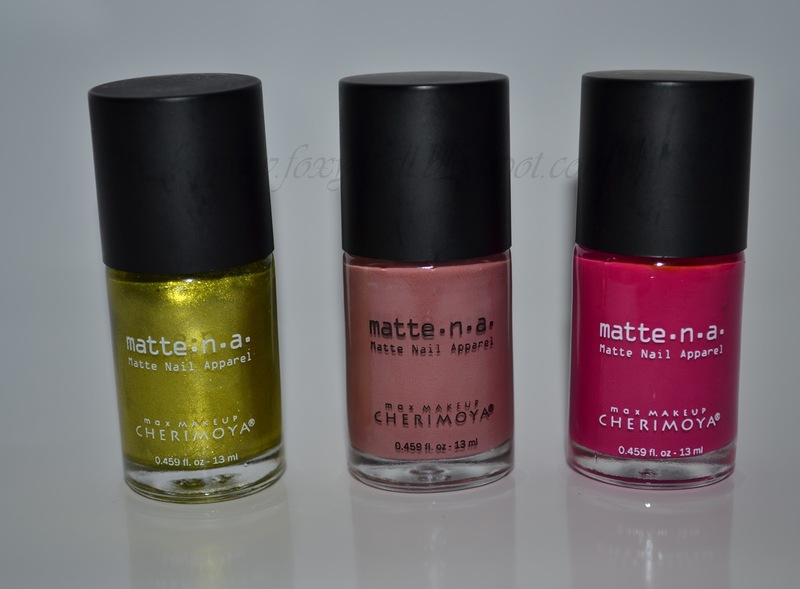 Product Features-These matte nail polishes are from the specialty lacquer line which has over 30 shades to choose from. The Matte N. A. polish formulation is free from Formaldehyde, Toluene and DBP. Experience- I really enjoy the fact that the nail polishes are fast drying I was skeptical at first because the consistency was a bit thick upon application.The smell of the polish was somewhat overbearing therefore I highly recommend using said in a well ventilated area.I love the matte finish of the polishes however in order to maintain the matte finish I had to skip top coat which resulted in some chipping.Overall I really do like the fact that the colours are not misleading in that what you see in the bottle is what you see on your nails. 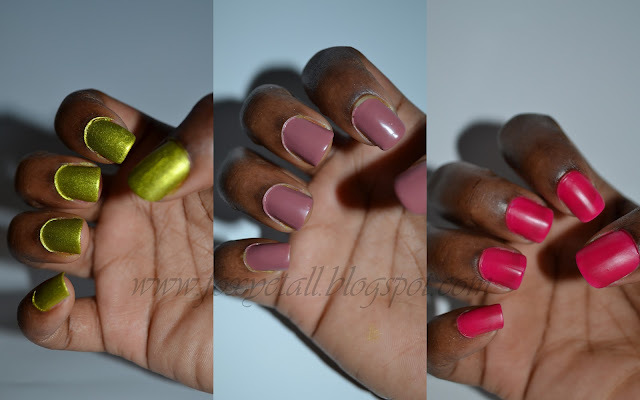 Have you tried these Nail Polishes if so what are your thoughts? love the "suspense" color...it looks very unique and nice! Yes Suspense is my fav as well! !